Our team of professionals believes that every patient should be offered the highest quality dental care with technologically advanced equipments in a comfortable environment. We are committed to offer personalised care that is consistent with patient’s dental needs and value. We welcome patient’s input to help developing a comprehensive but individualised long term plan for their teeth. With patient, together as a team, we completed dental work that is maximised for comfort, function, health and aesthetics. Our goal is simply to help our patients retain their teeth all of their lives if possible, and to accomplish this appropriately. Dr Yang's family immigrated to New Zealand in the 1990. With the completion of college in Palmerston North, he headed to Otago to gain his dental degree. After graduating, he developed and broadened his oral surgical skills further during two years of hospital postings in Wellington and Southland. Currently, he maintains a private practice in North Shore, Auckland focusing on cosmetic and restorative dentistry with a strong emphasis on risk management and comprehensive treatment planning. 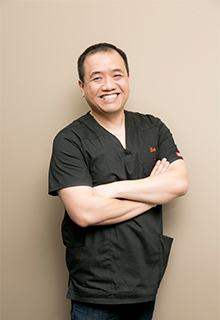 Dr Yang firmly believes that in order to practice modern dentistry and have the ability to offer the best treatment option to patients nowadays, one must have a good comprehension of all aspect of dentistry. He continues to enhance his skill and knowledge by travelling extensively throughout the world to some of the world's well-known private post-graduate training facilities and courses such as Kois Centre in Seattle, the Fahl Centre for Aesthetic Dentistry in Brazil, Advance Implant Therapy from UCLA, and Mini-residency in Orthodontics by Dr Mahony in Sydney. Outside dentistry, Dr Yang is an avid aviator. He is currently working towards his private pilot license. Dorothy graduated from University of Otago in 2014 and has since been serving across the Auckland community. She was born and bred in multicultural Malaysia, enabling her to master three languages which include Mandarin, English and Malay as well as conversational in Cantonese. Dorothy is a strong believer of patient autonomy. Hence, she relentlessly explains and ensures that her patient’s understand their dental conditions and all the treatment options available. Dorothy enjoys all aspects of general dentistry with a particular interest in prosthodontics (crown and bridge) and orthodontics. She is also an accredited and certified provider of Invisalign. She is a motivated life-long learner by attending professional development courses locally as well as internationally, and is currently at the end of finishing Orthodontic mini-residency program by Dr Mahony in Sydney. Dorothy was involved in dental volunteering program such as Colgate Free Smile and Special Olympics. Outside of dentistry, Dorothy enjoys traveling, whether within or outside of New Zealand. She also has a passion for landscape photography and is keen to explore good restaurants around Auckland. Carrie was born and raised in New Jersey, USA. She graduated from New York University with a BFA then went on to complete an Associates Degree in Dental Hygiene in 1995 from North Hampton College in Pennsylvania, USA. Carrie married a kiwi in the late 80’s and moved to New Zealand with her young family in 2002. 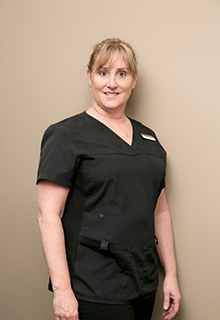 She has worked in dental for many years and comes with sound knowledge and experience. 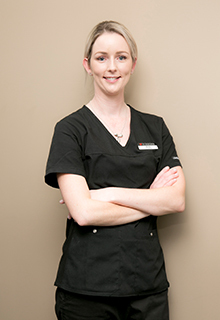 Since becoming a Hygienist for The Dental Centre – Browns Bay in 2010, Carrie has gained a loyal following of patients – both old and young. When she’s not in the practice Carrie keeps busy spending time with her family. Kylie Joined the team in Feburary 2015 and really enjoys her role of keeping the practice running smoothly. She has over 15 years experience in customer service and comes with a dental background bringing vast knowledge and skills. Kylie is passionate about ensuring all patients are welcomed with a smile and leaving knowing that they have recieved the best service and care possible. Meeting new and varied people is the most enjoyable part of her role as well as managing the office. When she is not in the practice she is busy being a mum to her son Luca. She also enjoys taking timeout at the gym and spending time with friends. Sharlene joined our team in 2016. She comes with many years’ experience as a dental assistant. She has worked in Auckland, Hamilton and Melbourne. 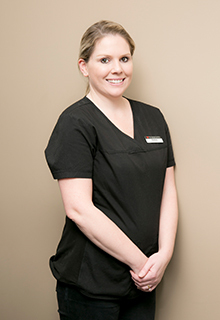 Sharlene enjoys working in a team environment and achieving patient satisfaction. 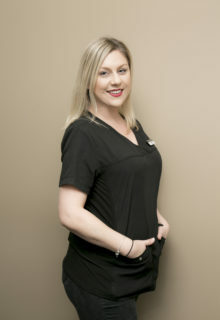 With a wide range of skills from working with specialists and training in assisting with Implant placement, her favourite part of the job is seeing cosmetic dentistry completion. When she’s not in the practice, Sharlene keeps busy with her two children and getting away on a family holiday. Emma joined the team in 2017 and has over 12 years’ experience in the field of dentistry and thoroughly enjoys it. Her bubbly and down to earth personality helps any patient feel at ease. The ever changing and improving technology within dentistry excites her to continuously learn new techniques and procedures. Outside of work Emma enjoys the Summer and everything that comes with it, as well as being a mum to her son. She places a strong emphasis on spending quality time with her friends and family.